You come to the proximity of the ocean and the basin and its wild pleasures. 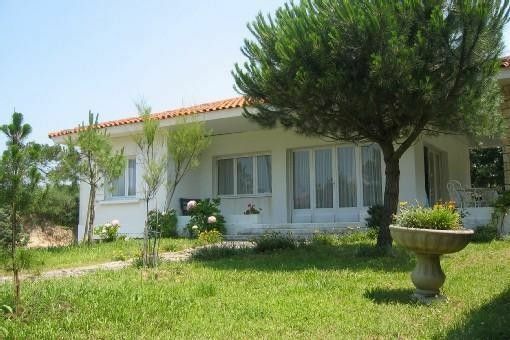 Welcome in this villa without vis-à-vis for 6 to 8 people or more if you have a tent, ideal for children and teenagers. You will spend your lunch time and discussions, both day and night on the sheltered terrace. The interior is bright and comfortable, with its large relaxing lounge, armchairs, reading, fireplace, cd-dvd-tv-wifi. Two bedrooms, one overlooking the lighthouse and a third independent opening onto the back garden. Finally, the large garden, the ping-pong, his sand wedge ... At disposal adults and children bikes. Full bathroom with shower, sink and bidet. Separate toilet. Corner bathroom with sink and bidet in the downstairs bedroom.